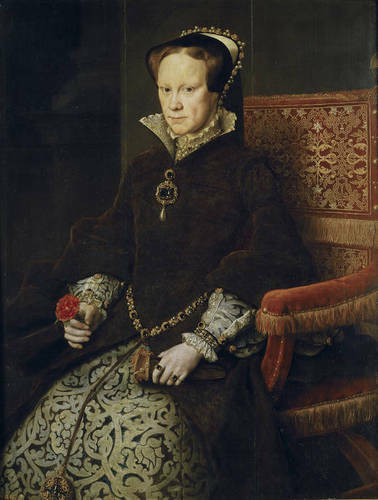 Queen Mary I of England. Queen Mary I also known as "Bloody Mary". This was painted in 1554 par Antonious Mor.. Wallpaper and background images in the rois et reines club tagged: queen mary i queen royalty monarchy england mary i tudor. This rois et reines photo contains surcoat, surcot, kirtle, and rapporté. There might also be trône, polonaise, and salle de dessin.